Telugu star-actor Adivi Sesh, who shot to super-stardom with the thriller “Kshanam”, had a favourable year with “Goodachari” returning impressive box office numbers. He looks back and looks ahead. It was your birthday on 16th December. How did you spend your big day? It’s the first birthday I’ve gotten to spend with my parents in a long time. They’ve moved to India after living in the US for close to three decades. That’s my biggest accomplishment this year! More than ‘Goodachari’, convincing my parents to come live with me! 2018 was a watershed year for you how do you look at the progress you made this year? The credibility that comes with the perception of success is something I cherish. I’ve lived with the idea of ‘Goodachari’ for fourteen years and the film itself was in the making for a little under two years. Of course, its always nice when a movie succeeds at the box office so beautifully. 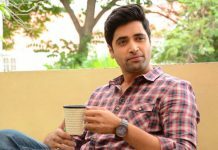 ‘Kshanam’ 2016, ‘Ami Tumi’ 2017, ‘Goodachari’ 2018…. each year, it’s been nice to be part a film that has done well. On a separate note, I don’t take success or failure too seriously. Did you find it tough to break in and when you did was it tough to convince the industry about your language of expression? It was tough to find the credibility to become a lead actor. That didn’t happen until late 2015. But as an actor, my big break came in 2011 with my second film, ‘Panjaa’. A lot of people in the trade told me that I became a leading man of sorts in 2015, and ‘Kshanam’ cemented that. I never took all that too seriously anyway. I always thought that growing up in different countries would’ve been my asset. And it has been, when writing a story. As a person living here, I’ve always felt like a square peg in a round hole. I still do. Goodachari was a smash did you expect it to be such a success? It’s become my career’s biggest hit and I’m very proud of the work we put in. I’d always hoped and dreamt that it would be a huge success. That’s exactly what happened. And now, a franchise is born. I couldn’t be happier. ‘Arjun Reddy’ , ‘Bahubali’, ‘Goodachari’… is Telugu cinema going through a process of radical genesis? I feel that the new wave started sometime in 2014. People’s ideas started changing. The kinds of concepts being discussed in Hyderabad were a little different. ‘Baahubali’ was being made. For people to write these movies, start putting them together and release them, the public started seeing the fruit of that around 2015 or 2016. I’m proud to have been in Telugu cinema’s new wave with two of my films. ‘Kshanam’ and ‘Goodachari’. For a big star like Ram Charan to agree to his character in ‘Rangasthalam’ is incredible, and speaks volumes about how creatively inclined the movie business has become, top to bottom. 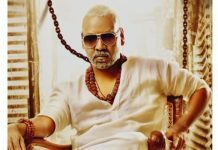 Commercially as well, the last few years have been phenomenal for the Telugu movie business and that is entirely because of ‘Baahubali’, it revived a culture of proud movie-going, for the Telugu people. What Bhangra is to Punjabis, cinema has become that – for the Telugu people. I’m Proud to be told that we are the most profitable movie business in India. Your career changing film ‘Kshanam’ was made into Hindi as ‘Baaghi 2’ . What did you think of the remake? To this day, I haven’t seen Baaghi 2. I haven’t gotten around to it, maybe because it’s not really mine. But I’m told by a lot of Telugu folk who’ve seen ‘Kshanam’, that ‘Baaghi 2’ isn’t their cup of tea. But then, Telugu audiences will always pick Mahesh(Babu) Sir’s ‘Pokhiri’ over Salman’s ‘Wanted’. They’ll always pick the original. Regardless, I respect that ‘Baaghi 2’ has become so successful. It’s not that I’m being diplomatic about Baaghi 2. I just don’t feel anything personal toward it. What are your plans vis-a-vis Bollywood? Or do you believe better to be the lion in your own jungle ? I’ll be working on my debut Bollywood film in 2019. I’m quite proud of that project and will announce it in due course. I am essentially the product of my experience and my exposure isn’t limited to the Telugu states. I’d love to tell stories that are pan -Indian or even international. Tell me about your forthcoming projects ? I’m reuniting with the producer of ‘Kshanam’ for a pulpy thriller, it’s nice to just be an actor and do something exciting. 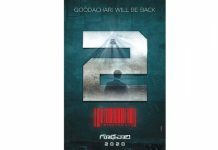 ‘Goodachari 2’ is on the cards and so is an untitled war film. They’re ambitious films. G2 will be huge. We are working very hard to exceed the expectations of G1. We are currently working on the scripts of both G2 and the War film. I’m not really looking toward direction as a career step. I intend on doing it sporadically whenever a story speaks to me in a way that I feel that I should be the only one that tells that story. Besides, I feel that I’m a better actor than director. Previous articleWhy Jagan and Pawan don’t talk about Modi’s AP visit? 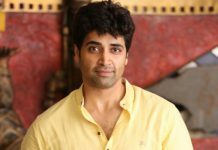 Adivi Sesh responds on his alleged wedding!! !